What we put into our bodies affects the way we look and feel. Research has shown that as you age, lack of the right nutrients quickly affects hair, skin and nails so a combination of essential elements that include vitamins and minerals will promote thicker, stronger hair, more radiant looking skin and stronger nails. Minerals ,vitamins and antioxidants nourish the living cells for healthy hair skin and nails. How to care for your hair in harsh climate? Hair is affected by the Environment and Water. Beware of Desalinated Water-Many desert countries rely heavily upon desalinated water to provide the water that comes from taps. Desalination is the process of converting seawater to produce drinking water. If the water comes from a treatment plant, which derives the water from the sea it is called desalinated water. However, increasing populations are polluting seawater causing additional bacteria growth. As a result, the treatment plants must add more chlorine to kill bacteria and then add lime (a calcium compound) to help control the chlorine levels. Desalinated water is hungry water that can have a drying effect on the hair. Calcium in Desalinated Water-Calcium leaves the hair feeling dry and weighted down. It can build up on the scalp causing flaking, giving the appearance of dandruff. 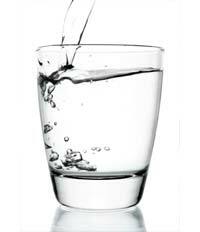 Chlorine in Water-Chlorine is found in tap water and in swimming pools. It is a harsh oxidizer added to the water to kill bacteria and it also adversely affects hair. Silica in the Air-Silica is a sand-like substance found in desert or volcanic areas. Silica causes hair to feel dry. Air-Conditioning - air-conditioned atmosphere is very drying and this takes away the moisture from the hair, which is extremely destructive. Visit us to know more.